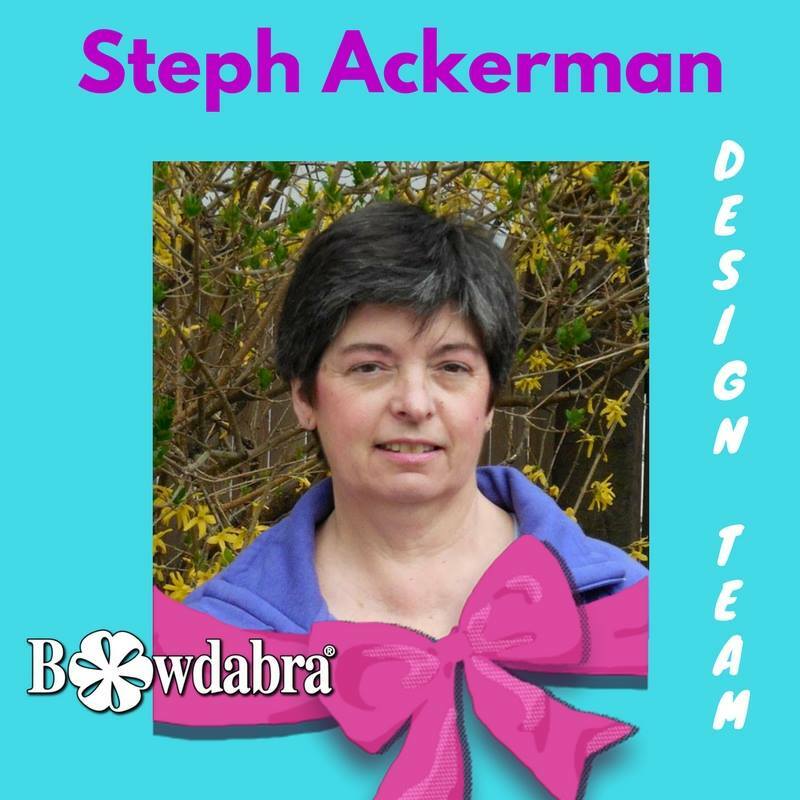 Hi everyone, Steph Ackerman here to show you how easy it is to do some Summer Crafting with Bowdabra. Do you need a quick summer craft to keep the kids occupied? Why not decorate an etched vase with a Bowdabra Bow. Bows can be a wonderful decorative element to any project. The Bowdabra is easy to use and kids can have fun creating their own bows since there are no sharp edges or tools involved. It is a super way to relieve those summer blahs with Bowdabra summer crafting! Note: Kids can easily make the bow but the etching should be done by an adult. Place the bow wire in the channel and fold it underneath so it is out of your way while creating. Using sheer ribbon, leave a length of 6″ then place the ribbon in the channel. Create a 3 looped bow. Be sure to use the bow wand to push the ribbon in the channel. Pull up on the bow wire and tie off. Fluff out the bow. Place the glass vase in a container filled with etchallⓇ dip n etch. Since my vase was tall, I etched the bottom half, then turned it upside down and etched the top half. Etching takes 15 minutes so you should allow each halftime to etch. Remove the vase from the dip ‘n etch and pour it back in the container. Since dip ‘n etch is reusable, there is no waste. Rinse off and dry the vase. Using the bow wire, tie the bow around the vase. Bring the excess bow wire to the front and create spirals from the bow wire. Create a row of clay roses using Makin’s Clay and a Prima mold. Paint the roses to match the ribbon and adhere along the bottom of the vase. Fill with flowers and give to someone special. Keep the kids occupied by letting them create an assortment of bows to use on upcoming projects.